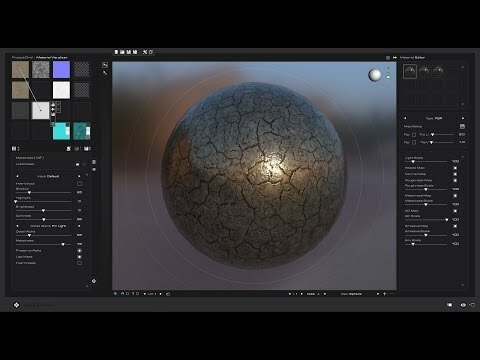 ShaderMap 4.1 is here and is a major update. It brings with it a lot of new features changes and bug fixes. Most exciting is PBR (Physically Based Rendering) Map creation, PBR Materials, and Multi Angle Light Scan nodes. Read the What's New Page for a full list of changes and features in ShaderMap 4.1. Just installed but keeps crashing when trying to open program. A number of people have been having this problem. Could you please do the following steps below to help me locate the problem. It would be very helpful for you to send me detailed notes on each step. 1. Uninstall ShaderMap 4.1 from your system. 2. Check the folder at "C:\Program Files\ShaderMap 4"
Are there any folders and files left? What are they if any? Delete any remaining files and folders. 3. Install ShaderMap 4.1 again. Is the problem fixed? If not go to step 4. 4. Find and delete the folder located at "C:\Users\<YOUR USERNAME>\Documents\ShaderMap\SM4"
Try to run SM4.1, is the problem fixed? If not go to Step 5. 5. Find and delete the folder located at "C:\Users\<YOUR USERNAME>\AppData\Roaming\SM4"
Try to run SM4.1, is the problem fixed? If not please tell me what messages you are getting, if any.